Since 2005, Greenpeace has been campaigning against environmental destruction and degradation through the Direct Dialogue Program here in the Philippines. 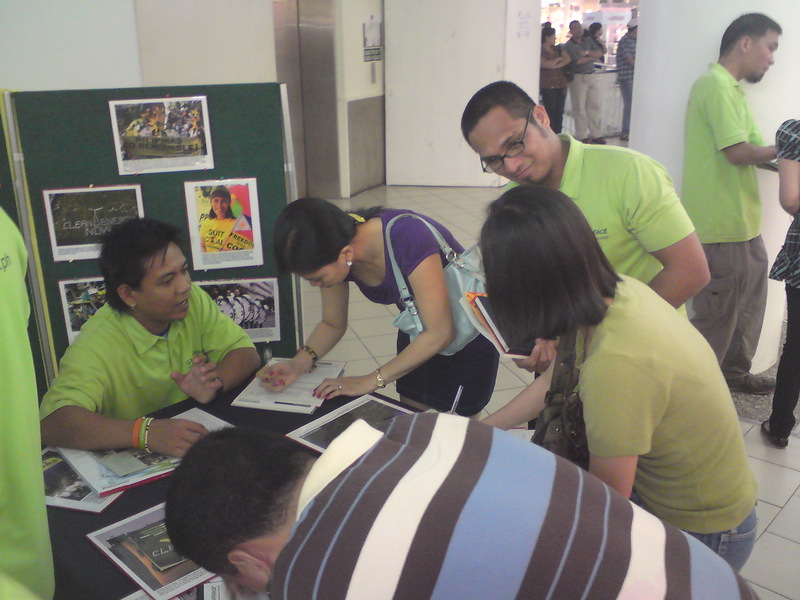 Greenpeace booths usually located within malls are venues for us to talk to people about current environmental issues, discuss actions which the organization has undertaken (to address these problems) and to propose solutions which individuals – ordinary juans and marias can do for our helplessly abused planet. Direct Dialogue Campaigners serve as our frontliners to give this kind of awareness to the public and invite them to get involved by signing up as members and supporters, thus help us continue the work that we do.